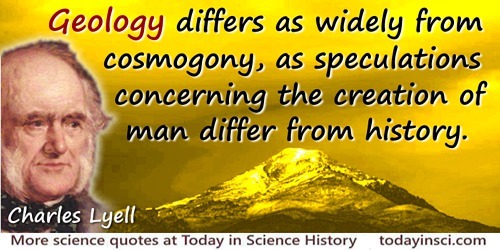 Geology differs as widely from cosmogony, as speculations concerning the creation of man differ from history. Principles of Geology (1830-3), Vol. 1, 4.